Photo 1: Palace of the Mirabeles (Palacio de los Mirabeles) (Residence of the Counts of Plasencia). Drwaing 1: Virtual Plasencia’s reproduction of the Palace of the Mirabeles (Palacio de los Mirabeles).Original artistry by David Seidman. The political chain reaction that initiated the families’ competitive animosities commenced in 1440 when Castilian King Juan II named Pedro de Estúñiga as the new Count of Trujillo (Conde de Trujillo). As the Estúñiga family was one of the three most powerful clans in the kingdom, they could force the king to grant them concessions. As the village of Trujillo was one of the ancestral homes of many regional knight families, such as the Carvajals, Orellanas, and Béjaranos, the community quickly demonstrated its unwillingness to accept Pedro as their new secular lord. (The village of Trujillo is located 80 kilometers to the south of Plasenica.) Among the Placentino Carvajals that called Trujillo their childhood home were Dr. Garci López de Carvajal, a member of the city council of Plasencia and a royal adviser to King Juan II, and his recently deceased brother, Archdeacon Gonzalo García de Carvajal. Although these two men did not follow their father’s example as caballeros, their brothers, Diego García de Béjarano and Gómez González de Carvajal, had maintained the family’s commitment to arms and they continued to live in Trujillo. In October of 1440, when Gómez (mayor of the village of Trujillo) received a letter from King Juan II ordering the village to submit to Pedro de Estúñiga’s authority under the penalty of the “loss of life and goods,” he and his brother, Diego, refused to yield. Instead, the Carvajals rallied the village’s knights, prepared the castle for battle, and vowed to resist Pedro de Estúñiga’s assumption of his lordship of Trujillo. With the promised aid and support of Gutierre de Sotomayor, the Master of the military Order of Alcantara (Orden de Alcántara), a bloody military engagement between many of King Juan II’s leading knights seemed all but certain. If necessary, Pedro de Estúñiga promised, “he would take the village of Trujillo by force.” Pressured by the Carvajals’ brinkmanship and determined not to risk a war between his knights, the king preserved Trujillo as a royally administered community. In its place, he offered Pedro the city of Plasencia. While the preservation of Trujillo as a royal city was a tactical victory for the Trujillo-based Carvajal family, the loss of Plasencia to the Estúñigas was a devastating and a strategic loss for the Carvajal-Santa María confederation in Plasencia. The allied clans had invested significant human capital and energy to garner control of the cathedral of Plasencia—a lucrative prize that offered access to church positions and valuable church assets. Likewise, the enhanced collaboration between the cathedral and the city council of Plasencia from the mid-1420s until 1440, earned the Carvajal and Santa María clans the consistent acquiescence and approval of their fellow city councilmen. For example, in 1428, the Carvajals and Santa Marías guided the city council and the cathedral chapter through a potentially crippling standoff that occurred when several churchmen had threatened city officials with excommunication over a wine tax dispute. With the arrival of Pedro de Estúñiga as their new count, the Carvajal-Santa María confederation would find their local authority minimized and political influence curtailed. The clans likely feared that they would no longer be able to maximize their dominance on the city council to support their cathedral operations. With the consolidated authority they had amassed on the city council, by the late 1420s, the Carvajals and Santa Marías had effectively transferred the control and collection of the city’s royal trade tax collections (the portazgo) to the cathedral. When Pedro de Estúñiga assumed his secular position as the Conde de Plasencia, which entitled him to the king’s portion of the portazgo, it was highly likely he would no longer consent to this arrangement. In December of 1441, King Juan II communicated the extent of the political and financial deference he expected the Cathedral of Plasencia and the city council to extend to their new count. Not only should the noble families receive Pedro as their new lord, but his assumption of the city and its lands would include all “peripheral lands, tribute taxes, notary fees, trade taxes, rents, and all rights over the city.” From that point forward, the city council was required to direct the king’s share of their tax collections and fees to the new Conde de Plasencia. In the past, the king had been inclined to share some of his proceeds with the city council. Worse yet for the king’s nobles on the city council was the loss of their political authority as Conde Pedro de Estúñiga would now directly rule the territory as his own. Required to be “obedient” to the count, several noble families elected to abandon their homes in the city rather than live under a peer’s rule. These men included Rodrigo de Monroy, who retreated to his seigniorial lands in the nearby villages of Belvis and Deleitosa, and García Álvarez de Toledo, who returned to his own village of Oropesa. As the city of Plasencia enjoyed the benefits of a charter (fuero), in which the king established the rights and privileges of the city, Pedro de Estúñiga could not disband the municipal council and both the count and the city’s nobles would live a contentious co-existence until 1488. 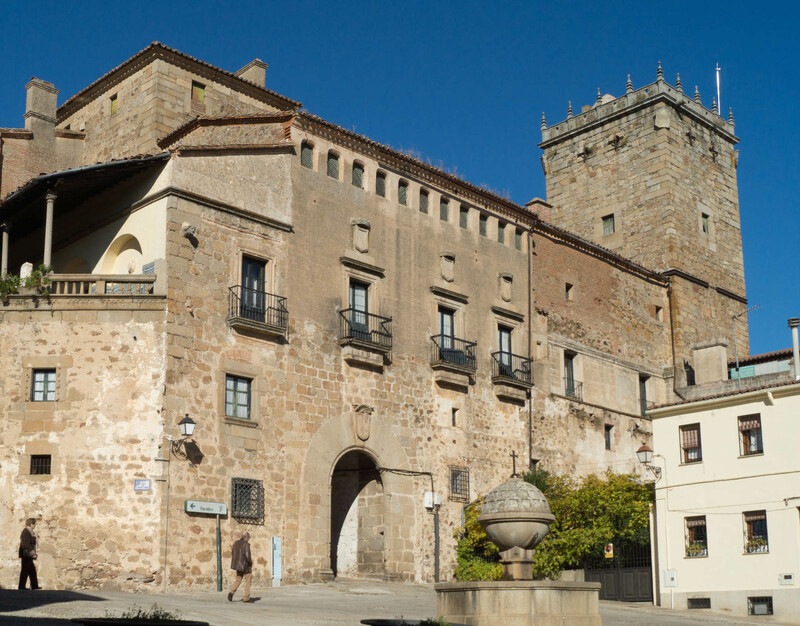 In that year, the Carvajal family would eagerly eject theCondes de Plasencia from the city at the request of King Ferdinand and Queen Isabel and restore the city to direct royal rule. Nonetheless, during the forty-seven years of Estúñiga’s governance (1441 to 1488), it was primarily the Carvajal and Santa María families that would regularly test the limits of the count’s authority. 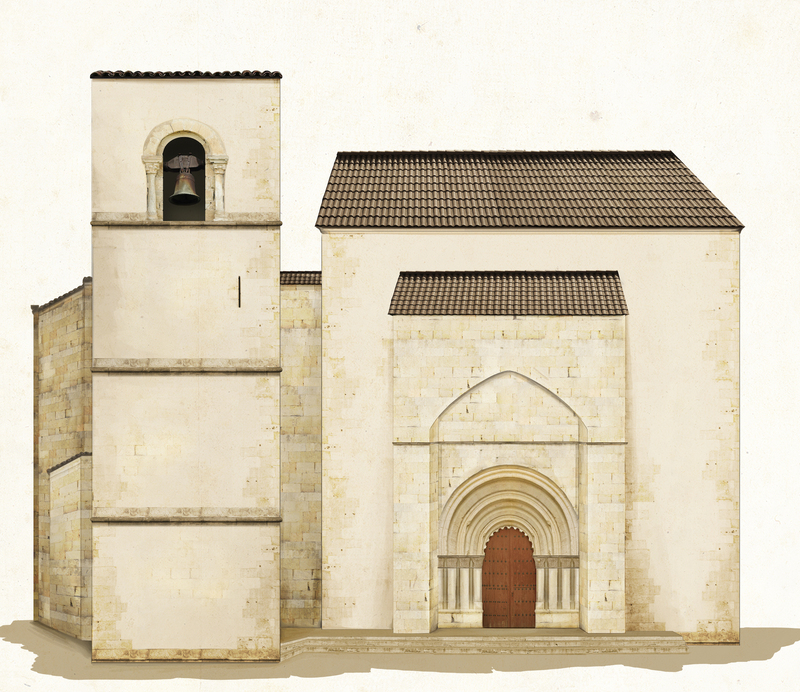 Archivo de la Catedral de Plasencia (ACP) Actas Capitulares Tomo 1 (1399-1453) Traslado, Folios 274-279; ACP Legajo 25, Documento “Acuerdos del Cabildo, Cuaderno 1”, Folios 8v-12v; ACP Legajo 282, Documento 1 “Estatutos y Sinodos”, unfoliated. Fernández, Historia y Annales de la Ciudad y Obispado de Plasencia, 96; Santos Canalejo, El siglo XV en Plasencia y su tierra, 77-79; Paredes y Guillén, Los Zúnigas, Señores de Plasencia, 35-36, 44-45. Additionally, in 1441, Pedro de Estúñiga appears with his new title as the Conde de Trujillo. See Pérez de Guzman, Crónica del Rey Don Juan II(Madrid: B.A.E., 1953), 604. Further, it should be noted that Pedro de Estúñiga was the eldest son of the deceased Diego López de Estúñiga, the former Chief Judge (Justicia Mayor) of King Juan II. In addition to benefiting from the extensive wealth accumulated by his father, Pedro de Estúñiga was the heir of his father’s titles (Justicia Mayor and Conde de Béjar) and seigniorial lands that were widely distributed across the Kingdom of Castile and Leon. The most prominent of those territories were the family’s newest lands in the village of Béjar, which was located in the Diocese of Plasencia. Although Pedro often found himself in constant confrontation with King Juan II’s favorite, Condestable Alvaro de Luna, in 1423, Pedro de Estúñiga collaborated with de Luna in the defense of the king during a Castilian civil war. King Juan II faced a significant contest for the throne initiated by his brother, Enrique, who had the armed support of many Castilian nobles, as well as the support of the King of Aragon and the King of Navarra. When King Juan II defeated his enemies, he rewarded Pedro by granting him the title, and the lands associated with it, of the Conde de Ledesma. Years later, in 1440, when the king wished to reclaim the village of Ledesma, the king offered Pedro the village of Trujillo in compensation for his loss. Elisa Carolina de Santos Canelejo notes that Gómez González de Carvajal joined “Diego de Orellana” and other knights in the armed resistance to Pedro de Estúñiga’s naming as Conde de Trujillo. However, it should be noted that Diego de Orellana was also known as Diego García de Béjarano Orellana “La Nueva”. Both Diego and Gómez were brothers. See Santos Canelejo, El siglo XV en Plasencia y su tierra, 79; Fernández, Historia y Annales de la Ciudad y Obispado de Plasencia, 96; Pedro Carillo del Huete, Crónica del halconero de Juan II (Madrid: Espasa-Calpe, 1946), 353. Pérez de Guzman, Crónica del Rey Don Juan II, 608. Ibid. ; Fernández, Historia y Annales de la Ciudad y Obispado de Plasencia, 96. ACP Legajo 282, Documento “El Portazgo de Plasencia pertencia al Cabildo Catedral…” and ACP Legajo 270, Documento 15. Archivo Historico Nacional – Seccion Nobleza (AHNSN) Osuna, Caja 300, Documentos 8(6), 9(5); AHNSN Osuna, Caja 299, Documentos 1(4), 1(6), 2(1); AHNSN Osuna, Caja 303, Documentos 42, 51; Santos Canalejo, El siglo XV en Plasencia y su tierra, 79; Hervás, Historia de los judios de Plasencia y su tierra. Vol. II: 174-180. The king granted the count all of Plasencia’s “términos, martiniega, yantar, escribanías, portazgos, rentas, pechos, y derechos.” Martíniega is a royal tribute paid on the saint’s day of St. Martín. ACP Legajo 282, Documento “El Portazgo de Plasencia pertencia al Cabildo Catedral…”; ACP Legajo 270, Documento 15. AHNSN Osuna, Caja 300, Documentos 8(6), 9(5); AHNSN Osuna, Caja 299, Documentos 1(4), 1(6), 2(1); AHNSN Osuna, Caja 303, Documentos 42, 51; Santos Canalejo,El siglo XV en Plasencia y su tierra, 79; Fernández, Historia de los judios de Plasencia y su tierra. Vol. II: 174-180. Fernández, Historia y Annales de la Ciudad y Obispado de Plasencia. Edicion Facsimilar, 150-153; Paredes y Guillén, Los Zúnigas, Señores de Plasencia, 185-187.